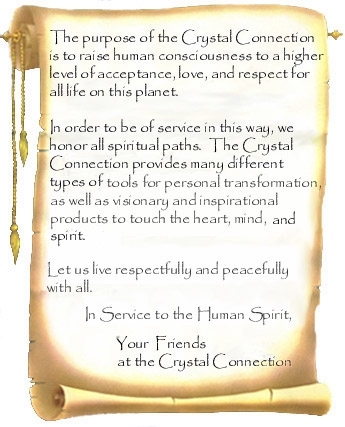 Crystal Connection is a Metaphysical Gift shop located in Tallahassee Florida. We are a Locally Owned and Family Operated Business that has been a part of this Community since 1987! We offer Jewelry, Books & Gifts that Enrich, Inspire and Transform Lives. We carry lots of crafts from Local Artist, Fair Trade and Made in America. From Aromatherapy to Zen Gardens, all product lines are chosen to improve your life or the life of the receiver.